It's a UKTV repeat run... but not as we know it. 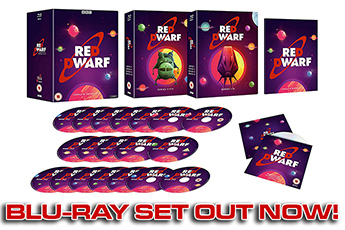 As you know, we like to bring you news of Red Dwarf repeat runs whenever we can here on reddwarf.co.uk. And as you know, when those repeat runs happen, they're usually on Dave - the channel that's been the home of Dwarf repeats since long before it was even called Dave (it used to be UKTV G2, fact fans). So it's somewhat unusual for us to report on a set of repeats that are starting on an entirely different channel. Well, we say "entirely different" - it's still a channel owned by UKTV (Dave's umbrella company), and in fact, it's the channel that Dave was originally spun off from: Gold. That's right, starting on Monday 6th July, you'll be able to see Red Dwarf starting from Series I on the channel that's (mostly) dedicated to repeats of classic British comedies. 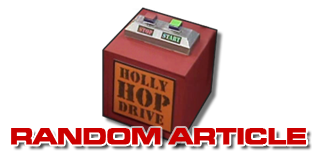 Of course, that's a designation we'd always have given Red Dwarf anyway, but it's quite interesting to see it moved from its usual home alongside the likes of QI and Top Gear, to sit instead in the company of Only Fools and Horses, Blackadder and Alan Partridge. As ever, we'll bring you an updated schedule when we have the next couple of weeks' worth of information! 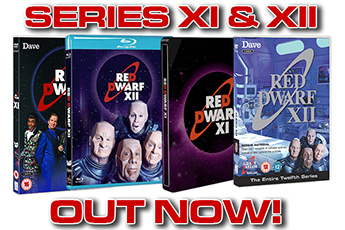 Find out the latest schedules for Red Dwarf on TV in our Watch section!